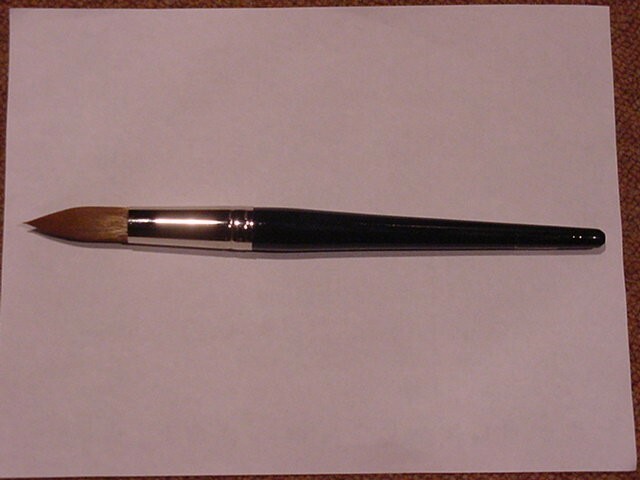 This giant giolith b brush from F and M Brush Co. can be used with all media to include oil painting, acrylic and water color. It comes to a fine point, yet has a wide base. The base of the brush is 2.25 inches in circumference (not diameter). This art brush will be your favorite big mama.